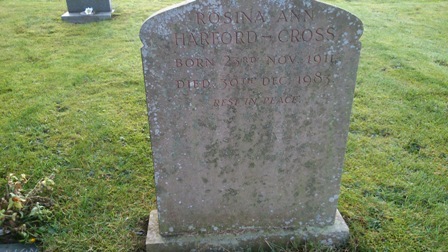 Rosina Ann Harford-Cross. Born 23rd Nov 1911. Died 30th Dec 1983. Rest in Peace.